We live in interesting times. The outgoing chief scientist Sir John Beddington warned that the rising demand for energy, food and water will create a perfect storm by 2030. Systemic monitory democracy and governance need to ensure that some users do not profit at the expense of current and future generations of life. This requires a different approach to praxis and a different architecture for governance and democracy. The chapter introduces the following questions: What is cosmopolitanism? What are the arguments and what is the evidence as to why sovereign states or global citizens should strive towards a more cosmopolitan approach towards democracy and governance? 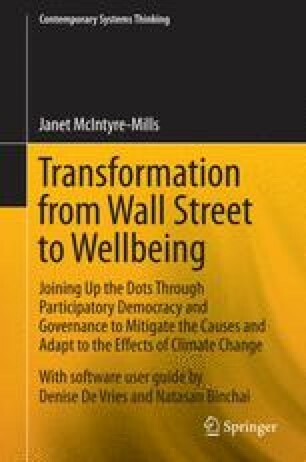 What organisations would be appropriate or viable to address social and environmental justice? What are the pitfalls? Volume 2 is devoted to addressing the ethical implications raised by these questions in more detail.